"This cutting-edge technology ... will have a significant impact in many consumer, medical, and industrial services and products," said Terry McGarty, co-founder of Vexti. BOSTON, Mass., Sept. 9, 2015 (SEND2PRESS NEWSWIRE) — Vexti Corporation announced on July 21, 2015 it has entered into a licensing agreement with Northeastern University and Brown University based on research and intellectual property in the fields of antimicrobial surface coating and surface modification technologies. The license includes rights to patents developed at both Brown University and Northeastern University, and was executed as a multi-party agreement. “This cutting-edge technology developed by professor Thomas Webster, formerly at Brown University and currently the Art Zafiropoulo Chair in Engineering and chair of the Department of Chemical Engineering at Northeastern University, will have a significant impact in many consumer, medical, and industrial services and products,” said Terry McGarty, co-founder of Vexti. 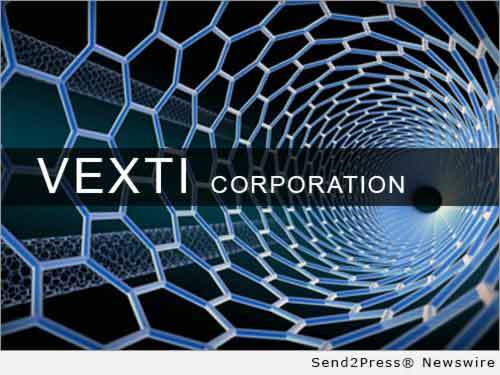 Vexti is a startup company focused on the commercialization of nanotechnology. The company’s initial focus will be on the development of products for the consumer, medical, and industrial markets. Original Keywords: Terry McGarty, antimicrobial surface coating and surface modification technologies, Brown University and Northeastern University Vexti Corporation Boston Massachusetts BOSTON, Mass. REFERENCES: Boston Business News, Terry McGarty, antimicrobial surface coating and surface modification technologies, Brown University and Northeastern University Vexti Corporation Boston Massachusetts BOSTON, Mass.